The beauty evolution of the 'Shake It Up' star. It&apos;s hard to believe Bella Thorne is only a teenager. It feels like we&apos;ve seen her on red carpets for ages—and we have! Her first movie job was in 2003, age 6, and she&apos;s been appearing on film and television in the 12 years since (most famously, in the Disney series Shake It Up, as well as Big Love and My Own Worst Enemy). She&apos;s pretty much a red carpet veteran at this point. But it&apos;s not just her many projects that make Bella seem more mature than her years. Based on the photos below, I&apos;m thinking surgical interventions, and I&apos;m thinking Kylie Jenner wasn&apos;t the only 17-year-old to dabble in them. Know what I&apos;m sayin&apos;? Bella Thorne at the 2010 premiere of &apos;Oceans&apos;. Bella Thorne at the 2011 HTC EVO 3D Launch Party. Wait—this is a 14-year-old? Could&apos;ve fooled me. Bella&apos;s transformation just a year later is incredibly dramatic. Hair has been dyed an extreme red, and layered to max, with tons of makeup. Not exactly age-appropriate. But this is before the "tweaks" started, so you can see her real nose and real lips. Bella Thorne at the 2012 Nylon Magazine 13th Anniversary Celebration. Aw, she looks super-normal and cute in this pic. Sure, the hair is very styled, and she&apos;s wearing cool eye makeup—but I&apos;m not getting that slightly plastic vibe that I get with her now (as if something is not from nature, but you can&apos;t quite place what). Bella Thorne at the 2012 premiere of &apos;Brave&apos;. Adorbs! She was 15 here, and again, on a whole other level to what 15-year-olds looked like in my circles. But to me, her facial features still look natural here, and the styling is fairly low-key (at least compared to that first 2011 shot). Bella Thorne at the 2013 premiere of &apos;Spring Breakers&apos;. She still hadn&apos;t touched her lips in first half of 2013. Right? I don&apos;t even think her lips are thin, just normal! She looks like a teen dream here with the playful pink &apos;n&apos; purple makeup, and the braided updo. Bella Thorne at the 2013 Teen Vogue Back to School event. The first appearance of the lip injections! This was for a "back to school" event, and what says back to school like a needleful of hyaluronic acid? (I kid, I kid.) 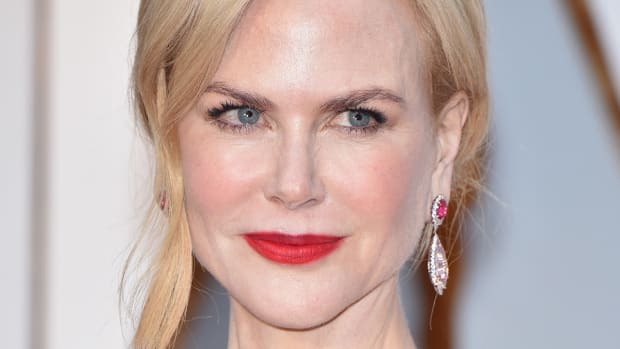 I think her first foray into injectables was pretty disastrous, as even Nicole Kidman&apos;s lips don&apos;t look this obviously plumped. Also, she was only 16 here. Sixteen! What business do 16-year-olds have getting Restylane? Bella Thorne at the 2014 InStyle and Warner Bros. Golden Globes after-party. At least the lips had settled down by early 2014. In this pic, her look seems closer to the Bella from before, just more styled. (See how their styling improves, the more famous they get?) Not sure if her nose job happened yet—it&apos;s hard to tell, but I&apos;m thinking no. Bella Thorne at the 2014 Teen Choice Awards. I knew there was something different when I first saw this photo last year! Even though I think she looks ridiculously gorgeous—it&apos;s kind of an otherworldly gorgeous, isn&apos;t it? Like nobody is actually born this way. Compared to before, her nose is much more refined, and her lips very plumped. The tone-on-tone makeup, hair and skin all add to the effect. Bella Thorne at the 2015 People&apos;s Choice Awards. You can really see how much her lips have changed here. With the shimmery red colour, it&apos;s like, BAM! Look at mah lips. I really find the upper one too much—how it&apos;s splitting in the middle with the fat on either side. Notice how she&apos;s gone a little darker with her hair colour. Despite the lips, still very, very pretty. Bella Thorne at the 2015 New York Spring Spectacular. This look is more natural, thank goodness! Either she found a better doctor, or the injections are deflating. Bella Thorne at the 2015 New York premiere of &apos;Ted 2&apos;. Now, Bella is blonde! I do think she looks great, and less "plastic" than a few pics before. Bella Thorne at the Boohoo.com pop-up shop launch in 2016. Bella has darkened her hair, with more dramatic makeup to match. 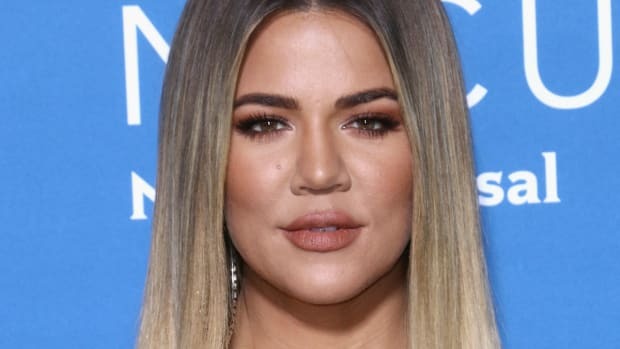 It doesn&apos;t look like she&apos;ll be giving up those lip injections anytime soon! 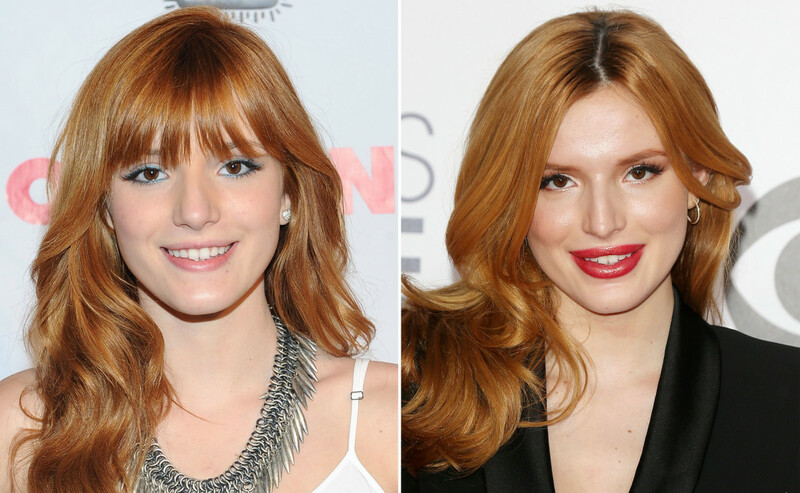 Bella Thorne in 2012 (left) and in 2015 (right). It&apos;s obvious that Bella has had some cosmetic procedures over the years. I know it&apos;s Hollywood, so par for the course, but what feels a bit uncomfortable (to me) is that she underwent permanent cosmetic surgery when she wasn&apos;t even an adult. Sure, it&apos;s her "choice" (or at least, her parents&apos; choice, since they&apos;re the ones who have to give consent). But I&apos;m an advocate for natural beauty and body positivity. Bella is gorgeous before AND after—but she&apos;s also a huge role model for teens and tweens. I wonder what message this sends? How do you feel about Bella&apos;s beauty evolution? The beauty evolution of the model and social media star.